Draga Jaizkibel (Untzi Museoa-Museo Naval de Donostia-San Sebastián. 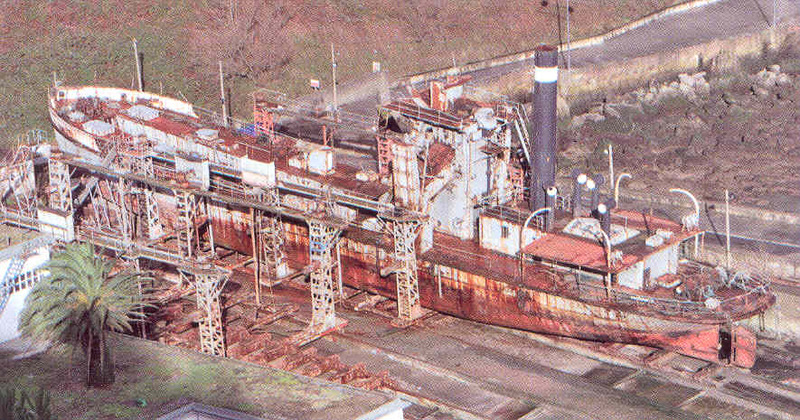 maybe interesting for you: in Sliedrecht, The Netherlands, we have a historic steam driven bucket dredger, the “Friesland”, built in 1935. Hull and machinery are fully operational, and we visit a number of (steam)events in the Netherlands.